One of the latest additions to my movie shelf is The Man Of Steel. Released this past summer, the film (like most comic book adaptations) certainly earned plenty of money, and garnered mixed to positive reviews. I recognize that this article is coming in late, but I want to discuss a few aspects of the movie that I found worthwhile. I will not give any spoilers here, nor will I talk about the plot in general. Rather, I want to discuss the reaction to the film and give my own opinion. My purpose here is to discuss interpretations of Superman on film and how the latest Man of Steel fits into this cinematic canon. First, I want to say a few words about the Blu-Ray itself, then I will delve into the movie. I picked up the Blu-Ray/DVD combo, and as one would expect, the picture and sound quality of the Blu-Ray are fantastic. I must say, I am a huge fan of Blu-Ray and DVD combos. Because I have only one Blu-Ray player, it is nice to have the DVD option to watch in another room, or on the computer while writing articles. One bizarre feature on the Blu-Ray is a featurette for the filming locations of The Hobbit trilogy. Why is this on here?! 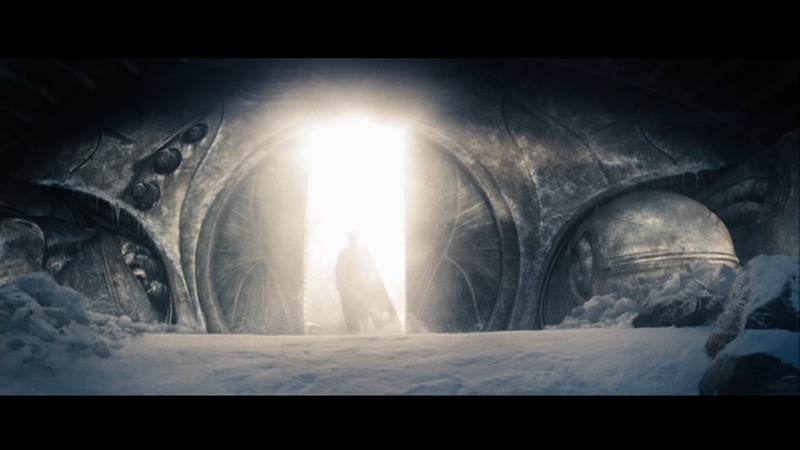 The Man of Steel trailers are absent but we are treated to a glorified New Zealand travel commercial? My assumption is that Warner Bros. is extremely nervous about the franchise, given the lukewarm reception of the first film. Perhaps to their relief, the second one seems to be garnering better reviews. My personal favorite extra is a two-minute animated feature that covers the history of Superman. This tribute is very creative, and I love how the animation transforms to each incarnation of Superman, with the music shifting from John Williams’ iconic Superman score into Man of Steels percussion heavy theme by Hans Zimmer. Because I want to focus on external features of the film, I will only discuss the movie itself briefly. In a nutshell, it is action packed, with a needlessly long back-story set on Krypton (political overthrow, first natural birth in centuries, and the planet’s core collapses… ALL IN THE SAME DAY?!). 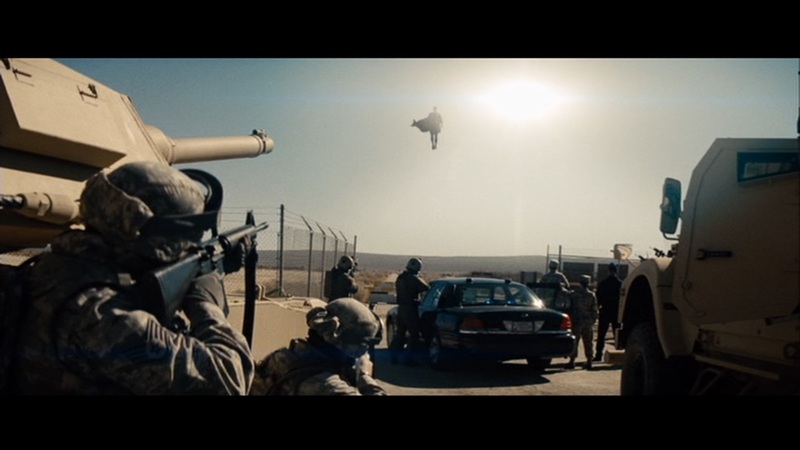 The camera work is fine, although Snyder really loves that shaky cam effect. Sure, it is acceptable with the huge action sequences, but can he not keep the camera still during dialogue? Another favorite aspect was General Zod. Although I completely enjoy Terence Stamp hamming it up in the two Richard Donner films, Michael Shannon presents a very rich, complex character who is convinced he is doing the right thing. Overall, it is not a masterpiece, but I find it a very enjoyable film. In addition, it is very heavy on the Messianic tones and imagery, but hey… that’s another post (maybe). With that, I want to turn to general (perhaps unwarranted) criticisms of the film. One of the biggest complaints surrounding this movie involves the tone the story takes. It seems that for many critics and viewers, the film was too brooding, too dark, and too serious. The very funny series on YouTube, “Honest Trailers,” even poked fun at this point This brings me to the main point for writing this article. Moviegoers took issue with the “Man of Steel” because this is truly the first time we have seen Superman re-interpreted on film. Of course, this is not surprising, as I would argue that the character of Superman himself does not undergo the drastic changes and reinterpretations found in other superhero source material. The obvious example of this is Batman. Consider the shift in tone between the 1966 version, the 1989 version, and The Dark Knight Rises from 2013. With each example, we have a radically new interpretation of the character, one that fits in its own pop-culture and historical context. By contrast, consider Superman on film. The George Reeves television series was certainly a product of high patriotic fervor of the 1950s. However, a lot of the core of the Superman character (truth, justice, American way) found its way into the Christopher Reeve films of the 1970s and 1980s. However, despite this apparent constancy of Superman’s core values, supporting characters have certainly changed to fit the times. Lex Luthor is a prime example, who shifted from an evil mad scientist character in the 1940s and 1950s, to a real-estate huckster in the Christopher Reeves era, to a corporate tycoon in the 1980s and 1990s. Lois Lane has benefited, as I would argue that each incarnation of her presents a stronger character, with less of the damsel in distress of the early days. With that in mind, Man of Steel presents an interesting question. Should the mythos of Superman himself be reinterpreted for modern times? I completely acknowledge that some may disagree with me, that the material has in fact undergone change over the years. While there has been some tweaking, I still submit that the Superman character himself has remained more or less the same. 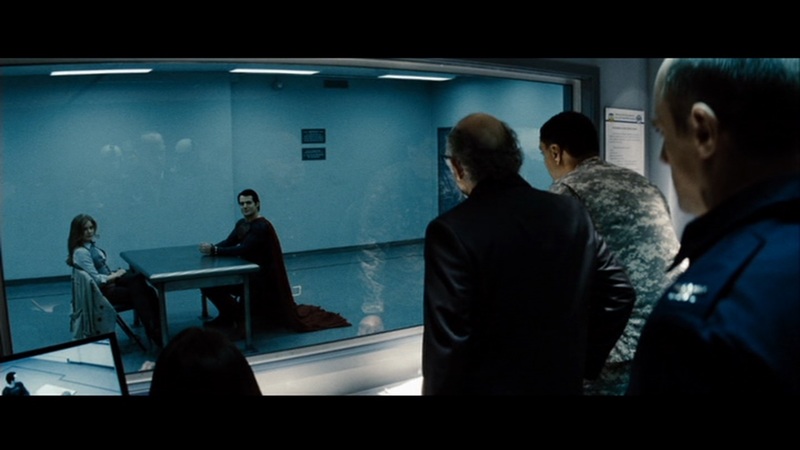 This is why Snyder, Nolan, and Goyer’s version of a post-9/11, brooding, self-doubting, and dark version is such a contrast to the Superman films of the past. Consider also the focus in Man of Steel of saving the entire world (again, messianic overtones) versus many of the action sequences of the Donner original Superman, in which Superman saves individuals in isolated situations (the helicopter sequence, the robbers on the boat, etc.). Is it possible for Superman to retain his core values, while still appealing to modern audiences? I would say yes, but it is a difficult balance to maintain with this character. To further my case, consider Brian Singer’s 2006 Superman Returns. For me (as well as for many others), this film failed because it held on too much to the past. It attempted to act as a throwback to the Christopher Reeve era of Superman, with very little action sequences. On a side note, I enjoyed Kevin Smith’s comment comparing the tagline of the original, (“You will believe a man can fly”) with a description of Singer’s film (“You won’t believe how boring this man is.”)The film’s lack of action aside, it failed to bring the mythology into a modern context, instead banking on the past cultural realities. It came off as a poor imitation, rather than attempting to bring the Superman character into the 21st century. Man of Steel on the other hand works for me because the writers and filmmakers acknowledge that the realities of the world changed, and thus Superman must change as well. It is imperative to understand that his values and outlook remains the same. It is the external factors and way in which obstacles are presented that have changed. So what do we make of this change of character for Man of Steel? Personally, I welcome the change to the Superman formula. The quality of the story can stand, even if you take a new tone and approach. 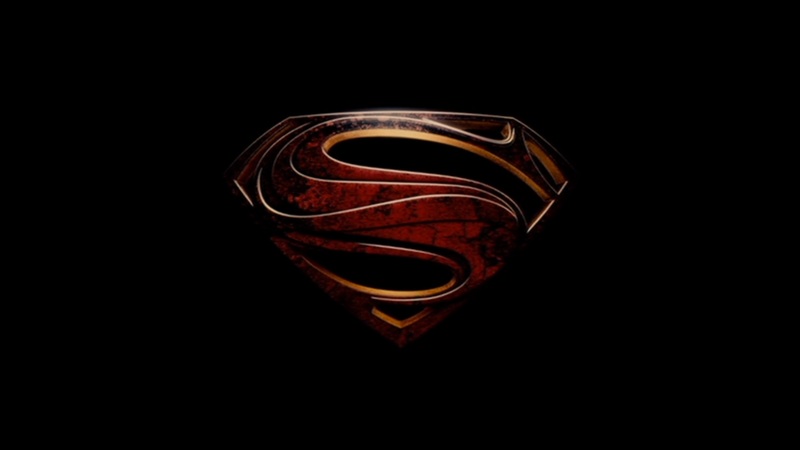 I disagree with critics that say this Superman lacks the element of hope that the previous screen versions contained. Snyder’s version is just as hopeful, with the promise of all the Superman has to offer, it merely adds the element of forging a trust between humans and Superman. Humans have to accept that they cannot control Superman, but we must also learn to trust him. What was your take on the film? Is the shift in tone warranted, or did the filmmakers completely miss the point of Superman? Thanks for reading. This entry was posted in Movies and tagged Blu-Ray, Christopher Reeve, Hope, Man of Steel, movies, Richard Donner, Superhero, Superman, Superman character, Superman films, Superman Returns. Bookmark the permalink. Very well reasoned argument. I would have liked to hear your thoughts about the way Zod was taken care of… The Messianic overtones you mentioned I though was rather over done, not so much with the save the whole world scenario but with the fact that he was told about his true parentage at roughly the age of 12 and then revealed himself/sacrificed himself at the age of 33. I personally loved that they showed Clark pre Superman, him wondering around helping people and trying to figure out who he really is. The Zod thing was a surprise, but I found it to be a welcome surprise. Thanks for reading! General Zod actor was great. I think a key piece to the puzzle in reinterpreting Batman successfully versus a sort of delay on Superman series is because of the real life situation of Christopher Reeve. His accident affected and froze the image of who Superman needed to be I think. Excellent point moi! I think the whole tone of Superman Returns reflects that point, in which the film makers seemed to be reluctant to leave the Christopher Reeve era behind. I think a successful tribute could have been done, but they just hit all the wrong notes in that film for me. Thanks for reading! Hopefully now that they have gotten their origin story out of the way, the series can pick up some steam from here. Good review Andrew. Thank you CMrok93! I share that sentiment as well. The best parallel is the Nolan Batman series. Batman Begins was burdened by so much back story, but The Dark Knight was able to jump right into it’s own plot, and I think benefited from that. Thanks for reading!